One of the most advanced and scientific methods of chiropractic care! With over 23 years of practice through sensory nervous system and spinal restoration, we have been able to help so many people. It's not about back pain; it's about not being able to do the things you need to and getting those things back. For example, the mom with such bad back pain can't pick up her own crying child, the person with migraine headaches that had to miss a wedding, or the golfer that just can't play anymore. These are the kind of people we have helped in the past. Dr. Aslan is here to get you back to doing the things you love! Dr. Aslan practices a very SPECIFIC analytical system and SPECIFIC scientific method of care that has been successful in achieving OUTSTANDING results by combining the Gonstead method and Chiropractic Biophysics. We are the only practice on Long Island combining these two methods. Check out some of our testimonials and some before-and-after x-rays to see for yourself! Comprehensive Chiropractic Care in Huntington, NY? So what can you expect when you become a patient at Waterfront Chiropractic? Dr. Stacy Aslan, DC will surely provide you with the help you need in order to live every day of your life to the absolute fullest potential possible. At Waterfront Chiropractic, our friendly staff makes your office visit fast, efficient, and effective! Dr. Stacy Aslan, DC provides patients prime health and a better way of life by guiding towards a better and healthier lifestyle. Waterfront Chiropractic is focused on top quality care for all patients and, most importantly, doing so in an encouraging and welcoming atmosphere. There is no need to feel intimidated when visiting Waterfront Chiropractic because you will experience a stress-free, friendly and professional environment. Dr. Stacy Aslan, DC’s assistants will be waiting to greet you and to help make your visit not only uplifting, but also enjoyable to the fullest degree. Dr. Stacy Aslan, DC and the Waterfront Chiropractic’s staff gives true meaning to genuine concern for all patients health and well-being. Dr. Stacy Aslan, DC encourages patients to make incredibly helpful lifestyle changes, as well as relieving pain where you need it the most. As a chiropractor, Dr. Stacy Aslan, DC is concerned about your body's overall health! Dr. Stacy Aslan, DC can evaluate, treat, or prevent spine degeneration and can also teach you how to strengthen and protect your back, neck and joints with exercises and proper movement. Dr. Stacy Aslan, DC will also teach you about healthy lifestyle choices because, after all, the health of your spine is linked to the health of your entire body! It is our hope that you have a better understanding of why a healthy nervous system is key to health and relaxation. At Waterfront Chiropractic we can give you the individual pieces to your health. We are skilled finding the key to your nervous system stress and relieving that tension with skilled treatment. We also treat lower back pain, neck pain, shoulder pain, sciatica, pinched nerves, migraines and headaches, bulging discs, herniated discs, ruptured discs, allergies and many other pain causing symptoms. At Waterfront Chiropractic we also treat sport’s injuries and car accidents. Each person is an individual with unique needs. To a skilled chiropractor, your body is a visual and kinesthetic scrapbook offering a roadmap to the trained eye. Our individual care lets us plan the most effective treatment to relieve discomfort and let you walk away feeling stronger and more relaxed. We do this by a comprehensive consultation and examination. At Waterfront Chiropractic we value your health as much as you do! Our patient testimonials give you the confidence to let us treat you and give you the results, thousands of other patients have received. We are here to serve your needs. Dr. Aslan has helped improve my life. Period. About a year and half ago I started experiencing extreme discomfort in my mid back. This "discomfort" eventually turned into an extremely stabbing pain. After approaching my MD about it I was referred to a "spinal chiropractor". I went to see the chiropractor hoping to get answers about why a 27 yr old, who had never been in any serious accidents, was unable to drive, sit or stand for more than 30 minutes without feeling like I needed to lay down and put on an ice pack. However, after three visits and approx. 2,500$ later, I walked out with no answers. Unfortunately, the pain was still there and getting worse. I made the decision to go to Waterfront Chiropractic. From day 1, Dr. Stacy and his group helped explain what was going on and how we were going to help it. I was happy to feel like I was on a "team" and that someone finally cared about my pain much as I did. Every time I visit, I am greeted with a smile and a "how you feeling". There are times where I don't know where the pain is coming from and Dr. Stacy evaluates my back, adjusts the exact source of pain and brings me relief. I always leave feeling better. I needed help and I'm happy to say I got it from Dr. Stacy. I'm so happy not to be living with pain anymore. There is just no reason to! If you need help do yourself a favor and go to see what Waterfront can do for you. Jessica S.
Back in March I hurt my back and decided to wait it out and see if it would get better. A month later my back was still hurting and I decided to go to my doctor to see if he could help. When I walked out of there I got some ibuprofen and that's it, but the back was still ongoing. I was then recommended by a friend to visit Dr. Aslan at Waterfront Chiropractic. I was hesitant at first but when I got there I was surprised at how thorough everyone was, from telling me about the spine and how vital it is to keep it healthy, to making sure I understood everything they were explaining to me. Amazing. Gentle doctor, extremely friendly and knowledgeable staff, super accommodating office and effective drug and surgery free pain relief. I suffered from terrible headaches from the time I woke up in the morning for 2 1/2 years. They had an effect on driving, my job , my social life. I went to at least 7 doctors: neurologists, ENTs, allergists; I had MRIs, CT scans, blood tests, etc., and tried countless meds. NOBODY could find a reason or an effective treatment. It was a guessing game. 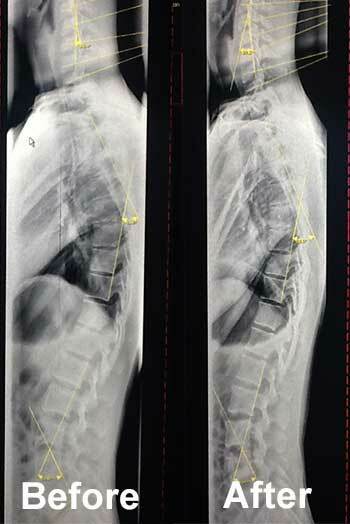 Dr. Aslan pinpointed the area causing my pain and also showed me how crooked and squished my spine and body were. 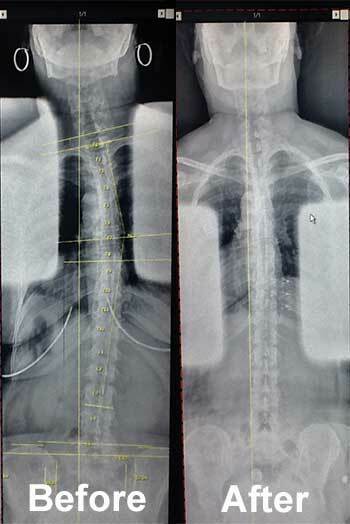 Everything in my body was off, I suffered not only from headaches but depression, GERD and neck and back pain as well. After only two adjustments, I had a 50% decrease in the frequency of my headaches that week. After two more adjustments, they were gone. It's only been about a month so far, but I have increased ROM in my neck, my mood is better and I have had maybe one very mild headache. I can't say enough! I feel like a new person. Meghan M.
cannot be guaranteed, and should not be considered typical.